Paper Made Bakery: Spice it Up! Greetings! So glad you could stop by today. 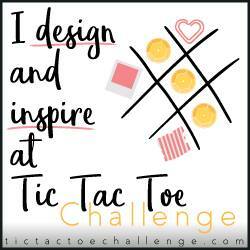 I have the privilege of being the Featured Designer for this week's Tic Tac Toe Challenge and I am THRILLED! It's about time to wrap up autumn and slide right into winter...but first, we'll finish off the season of #PSL, pumpkin spice lattes, with a bang. 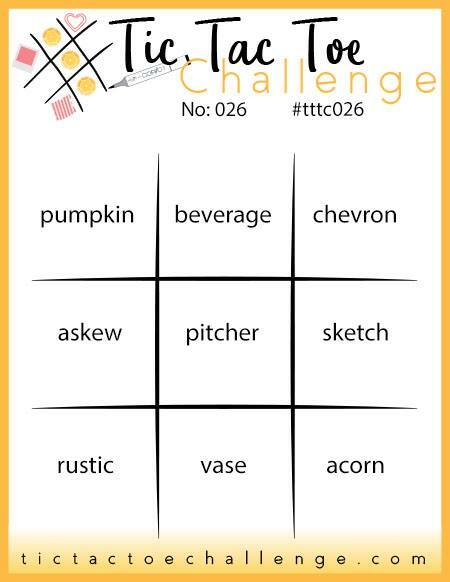 I had a hard time selecting just one, but I finally decided on the left column: Pumpkin, Askew, and Rustic. I'm quite fond of all things pumpkin, so you can imagine how giddy I get when the season o' pumpkins begins! 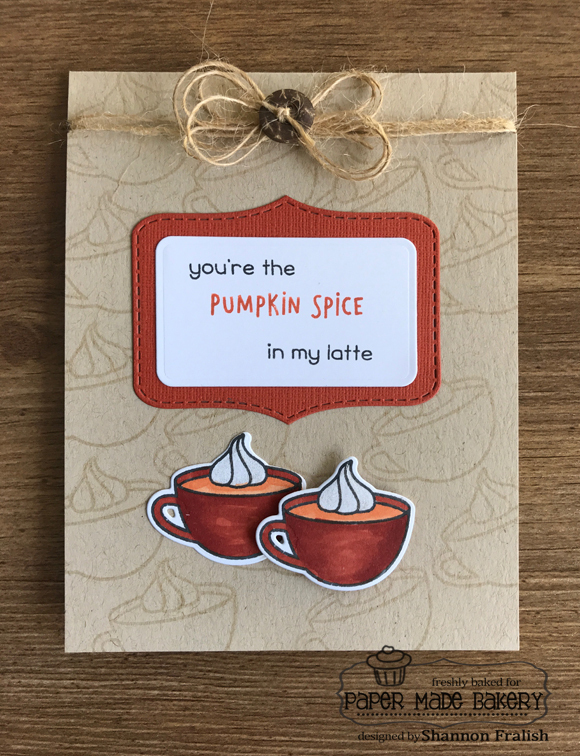 This is my card -- an ode to pumpkin spice lattes! I created my background by stamping the mugs slightly askew in VersaMark ink on a kraft card base. I stamped the mugs again on white, then colored and die cut them. I added clear Wink of Stella on the whipped cream because, well, whipped cream is kind of a star! I popped up the front mug and added a few more rustic elements - natural jute twine and a coconut button.